Henna is a plant and has been used for centuries to create temporary patterns on the skin, and also, to dye hair. It’s a natural hair dye that simply ‘covers’ your hair with colour, rather than going inside of your hair like chemical hair dyes do. The natural tint of henna is red, but you can also get brown and black henna, they’re mixed with other (supposedly) natural ingredients like cocoa and coffee, as I was told in lush. Henna is best used for people who want their natural hair colour to be intensified – so someone with brown hair would get brown henna, but obviously it also works on lighter hair. I’ve used red henna before on my blonde hair. It results in strawberry blonde / orange hair, getting more ‘red’ if you repeat the dyeing process. Now I’ve been wanting to dye part of my hair black. I don’t like chemical hair dyes, so I figured, why not try black henna. I went to lush and they were so kind to give me a sample before spending 10 pounds on a block of henna (which can be used for 2-3 hair dyes depending on your hair). In the shop they were pretty convinced it would turn my very blonde hair very black, but since I know that red henna does not turn blonde very red, I was sceptical. Henna is a lot weaker than chemical hair dyes, therefore, it doesn’t simply drastically change your hair colour. I’d say it turns your hair brown, and the more often you dye it, the darker it gets. I’m doubtful that it would end up completely black though. 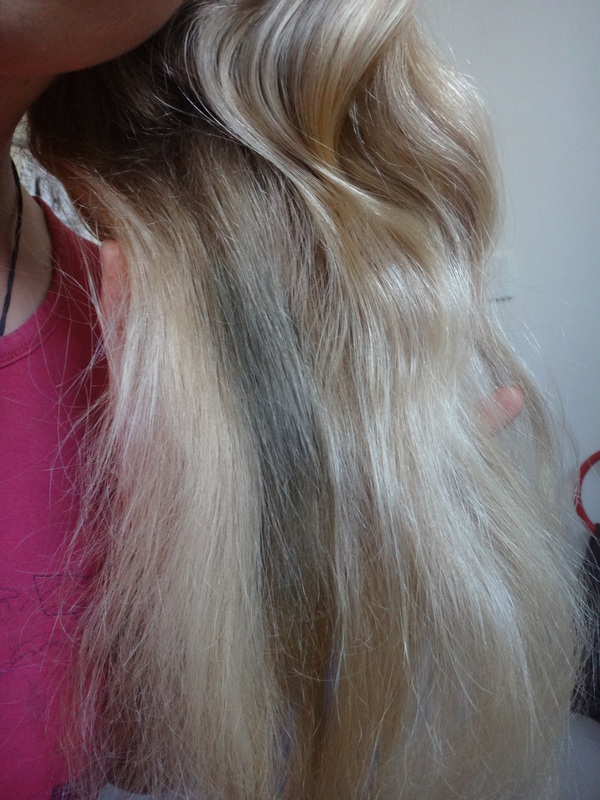 The first dye looked more like dirty blonde, the second dye made it look more brown – so I’d suggest at least 2 dyes for an actual brown colour. I have blond hair, but more dirty blond than golden. I bleached it and now I kind of want to go back. Do you think it could work on me? Is your hair naturally blond-golden? This entry was posted on 30/04/2017 by G in Body and Health (or not) and tagged black, black henna, blonde, brown, colour, cosmetics, dye, dying hair, hair, hairdye, henna, lush, natural, plant-based, red.